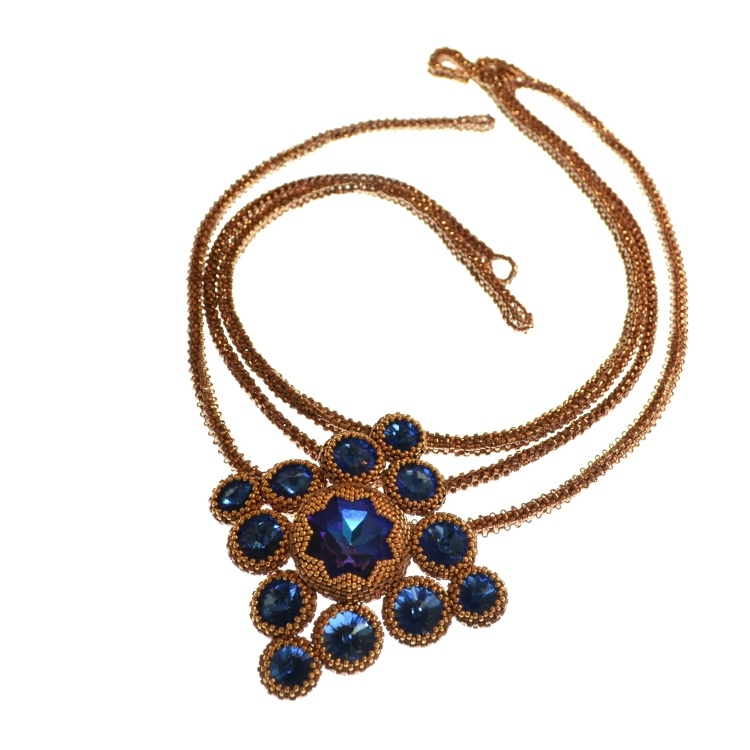 The crystal centrepiece of the necklace is endlessly variable! 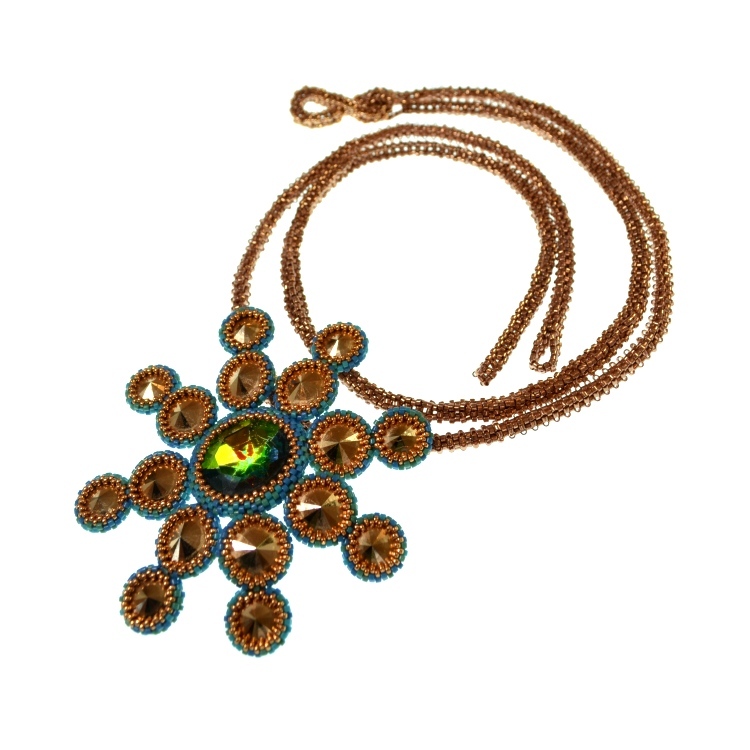 This sparkling Tretze pendant/ brooch unites peyote stitch with Swarovski crystals to dramatic effect. 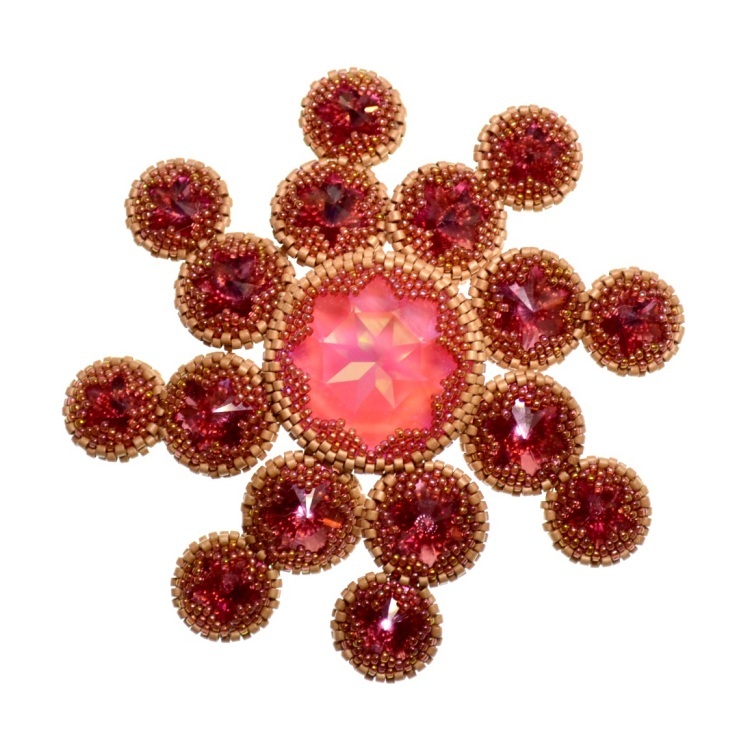 The centrepiece is endlessly variable as to the shape you want to create and the number and size of rivolis you want to add around the centre large sparkling crystal. 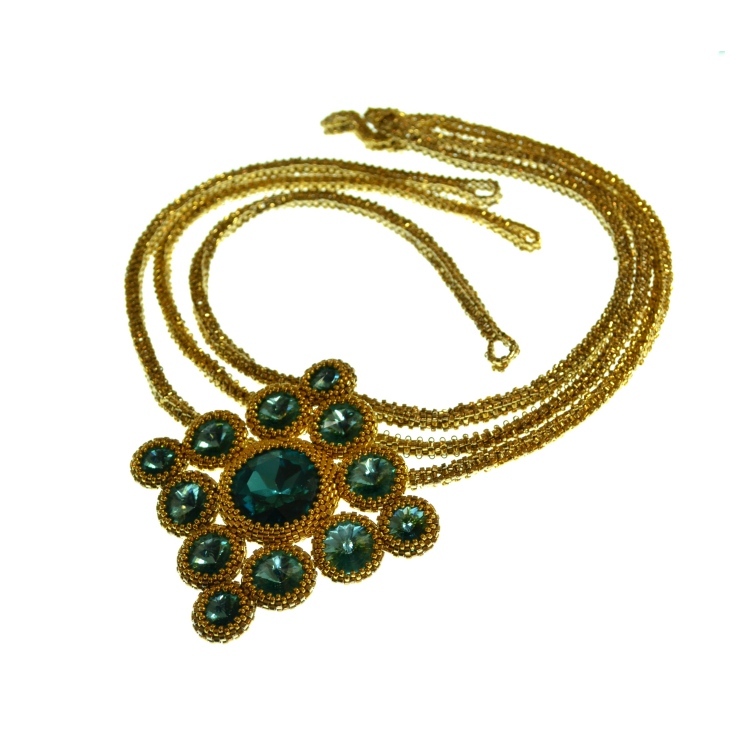 The pendant is strung on 1-3 strands of co-ordinating CRAW chain (optional) with a beaded s-hook clasp so you can vary the look each time you wear it. An intermediate class - you must be comfortable with peyote stitch.